In this article, we will tell, What is a domain, hosting, which domain levels are and how they differ. Domain - is the name of the site. for example, site, you are reading, a domain sovetisosveta.ru. You need a new name to create a new site - the domain. The domain name should be unique, ie. Internet sites should not be to the same domain. It is also desirable, to a domain easy to read and well remembered. Typically, these two conditions cause difficulty in choosing a name for the new site, because it is not easy to combine them together. Often the appropriate domain or complex, or busy. For the domain you need to pay. Domain Prices vary depending on the domain zone and registrar, which sells domain. The average value of the domain is about 400-500 rubles per year. However, right created over time the site will pay for all costs. You need to pay each year, otherwise the domain is free and it can take other people. The site will then be available. 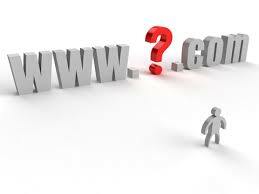 On the Internet you can find different spellings of domain names. The bulk of them can be divided into domains of the second level and third level domains (subdomenы). Second level domain - is an independent site name. for example, moysayt.rf. This domain surcharge. For prices and conditions we mentioned above. Third level domain - This site was created on the basis of another site, having a second level domain. for example, forum.moysayt.rf or magazin.moysayt.rf. Third-level domains are often used for creating websites on free platforms (livejournal.ru, blogger.ru, ucoz.ru, narod.ru and others.). How view, site with a third-level domain can be created for free, and for the second level domain name to pay. What for? The site with the domain for more options monetization (of earnings).